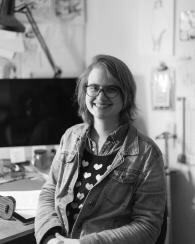 Artist Bio: Cathy makes comics, drawings, prints and books about confrontation and sincerity; drawing inspiration from her life and community. Her first graphic novel, Jeremiah, debuted in 2013, and was published by One Percent Press in 2015. Her second book Gorgeous was published by Koyama Press in 2016. Her upcoming book No Dogs Allowed is coming from First Second 2018. Cathy is an educator and organizer and teaches various art classes and workshops throughout Rhode Island. Project: The Collaborative plans to hold a week-long arts camp for East Bay youth ages 8-16 in four different areas: filmmaking, printmaking, and photography. 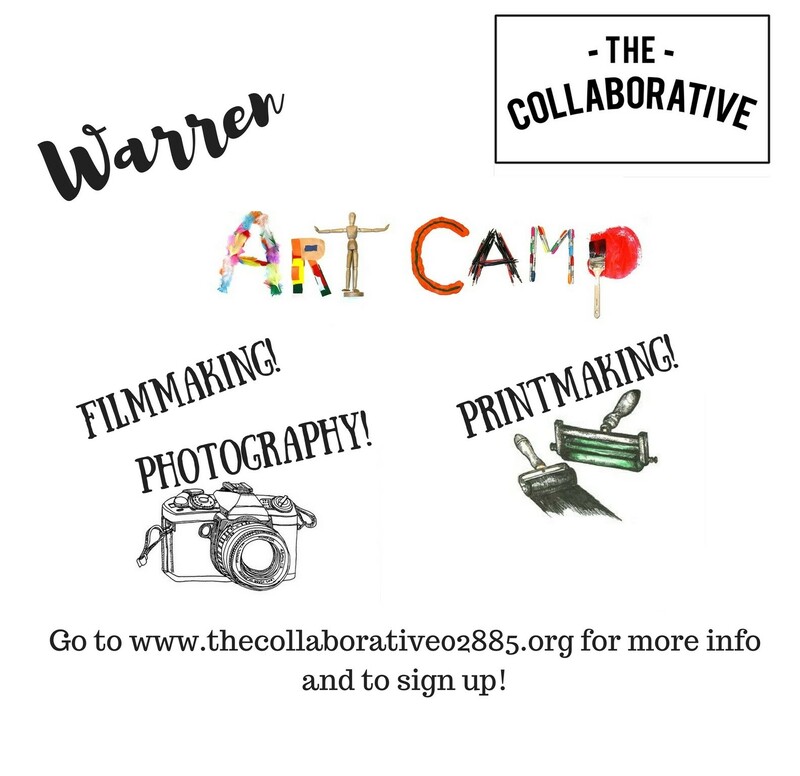 The Warren Art Camp project is an arts camp and showcase for youth ages 8 -16 in the East Bay area (Barrington, Bristol & Warren). Twenty to twenty-five students will be immersed in learning the basics of three different art forms including printmaking, photography, and filmmaking. These courses will be taught by three talented Rhode Island Arts Educators: Adam Tracy (printmaking), Janet Moscarello (photography), and Tommy Whalen (filmmaking). About the Organization:The Collaborative’s mission is: To provide an environment for creatives that fosters, encourages and celebrates the diverse talents within Rhode Island, by giving artists an opportunity to network, create, exhibit and sell their work. We provide artists with resources and an outlet to grow their talent and build their business acumen while also bridging the gap to educate the community and create excitement and awareness about our local well of talent. ← RISCA Grant Deadline Tomorrow!